You'll definitely be feeling lucky when you add this fun 3D embellishment to your next creative craft! 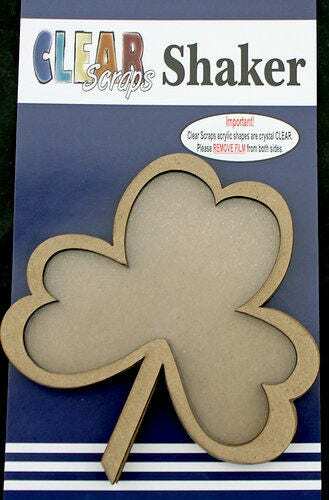 The Shamrock Shaker by Clear Scraps measures approximately 3.5" x 4.5". The package includes the components to create one shaker embellishment one chip back, three chip cutouts for laying and one acrylic shape divider.